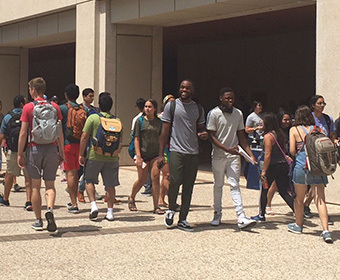 (Jan. 30, 2019) -- UTSA today announced the creation of the Department of Race, Ethnicity, Gender and Sexuality Studies (REGSS) in the UTSA College of Education and Human Development. The new department, effective Sept. 1, will give students within the program areas of African American Studies, Mexican American Studies and Women’s, Gender and Sexuality Studies greater opportunity to promote equity and intellectual dialogue, better preparing them for the issues society faces. >> Learn more about the UTSA Department of Race, Ethnicity, Gender, and Sexuality Studies. Discover the UTSA Department of Race, Ethnicity, Gender, and Sexuality Studies.